The Vary-I system is a loupe for the GH5 that attaches directly to the camera’s LCD and provides a variety of viewing angles. With models for the GH3 and GH4 already available for a few years, the updated GH5 is now available for pre-order and includes new accessories. A loupe is a great way to improve visibility in sunny environments, as well as to add an extra point of contact when shooting hand-held. 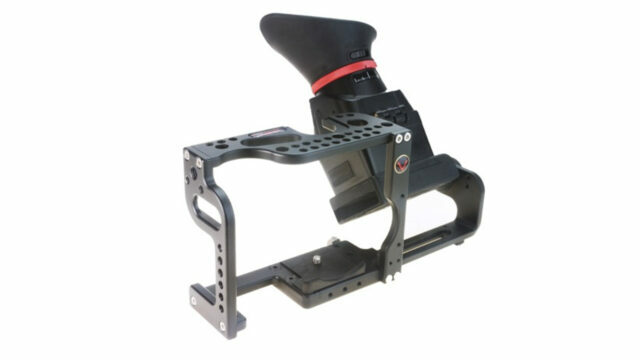 However, this element of the rig can often be difficult to get right, as some solutions either mount only to the back of the camera — and thus rendering them useless for shoulder use — or can cause stress on the hinge when you put your eye to the LCD when it is flipped away from the body. The Vary-I loupe for the GH5 aims to solve all these problems by providing a solid yet versatile solution to shoot from a variety of angles without putting your hardware at risk. The system works via a support that attaches to the tripod plate mounting point at the bottom of the camera. It is specifically designed to prevent the camera from rotating on its own axis under stress, and provides further mounting points to attach a tripod plate under it. The Vary-I loupe itself then fits onto the LCD of the GH5, and the mounting bracket slides into the support on the camera. 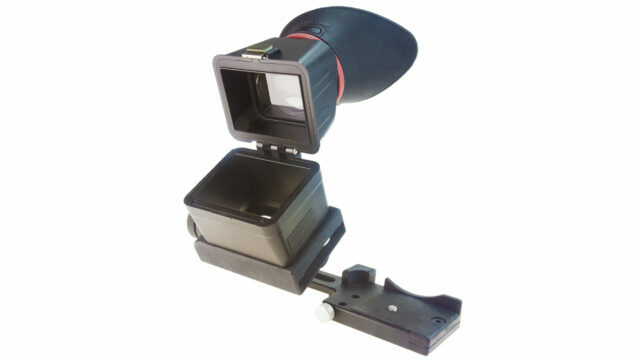 This allows the LCD to handle the weight of the loupe, as well as be completely supported while turning it to your desired direction. To get a better idea, check out this promo that feels like it was made in 1992. The loupe itself provides 3x magnification so you have a comfortable viewing experience when the eyepiece is right up against your face. 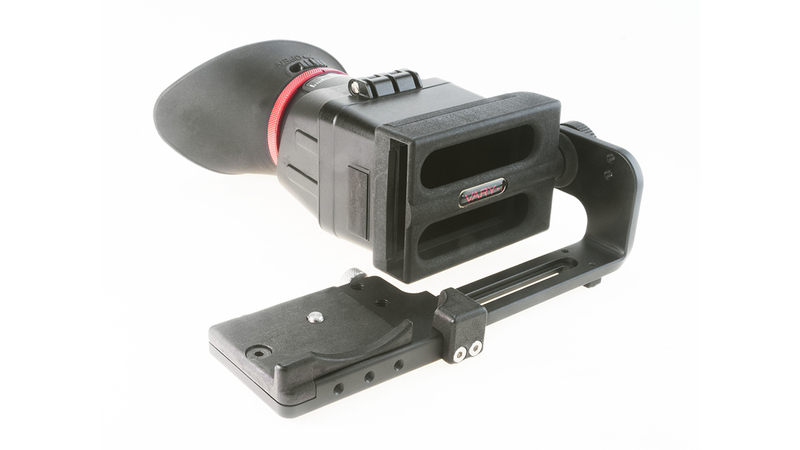 You can achieve both high and low shots by turning the LCD accordingly, and you can even regulate the stiffness of the rotation with the included knob. To protect your LCD screen from accidentally getting burnt due to the magnifying effect of the optics inside, this loupe for the GH5 even features a shutter for preventing any light from entering through the eyepiece. Alternatively, you can flip up the loupe to reveal the GH5 LCD. This is a great option if you like to use the touchscreen controls or if you want to review footage with others. 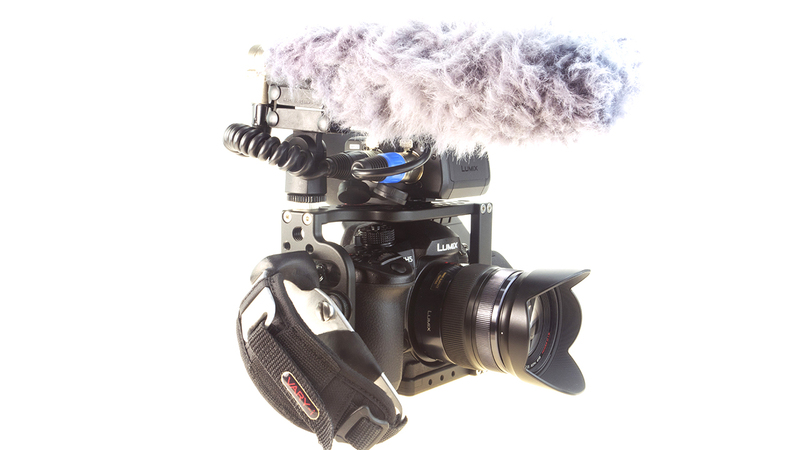 According to the description from the GH3 and GH4 models, the HDMI port is usable when the Vary-I is used in certain positions, and the system supports Metabones adapters such as Speed Booster without its tripod foot. Vary-I loupe with the new cage. The Vary-I will be available somewhere between July 27th and August 10th, with a price tag of €248 for the loupe only, or €398 for the version with the cage. Price and availability for the handle is still TBD. For more information and to pre-order, visit Vary-I.com. What do you think of this loupe for the GH5? Have you found any other alternatives? Let us know in the comments below!